The journey of an Earth-like virtuel planet (green) in the Solar System -point of view of the virtual planet- [Le voyage d'une planète virtuelle identique à la Terre (verte) dans le système solaire -point de vue de la planète virtuelle-]. A virtual Earth-like planet (green) is added to the actual Solar System. 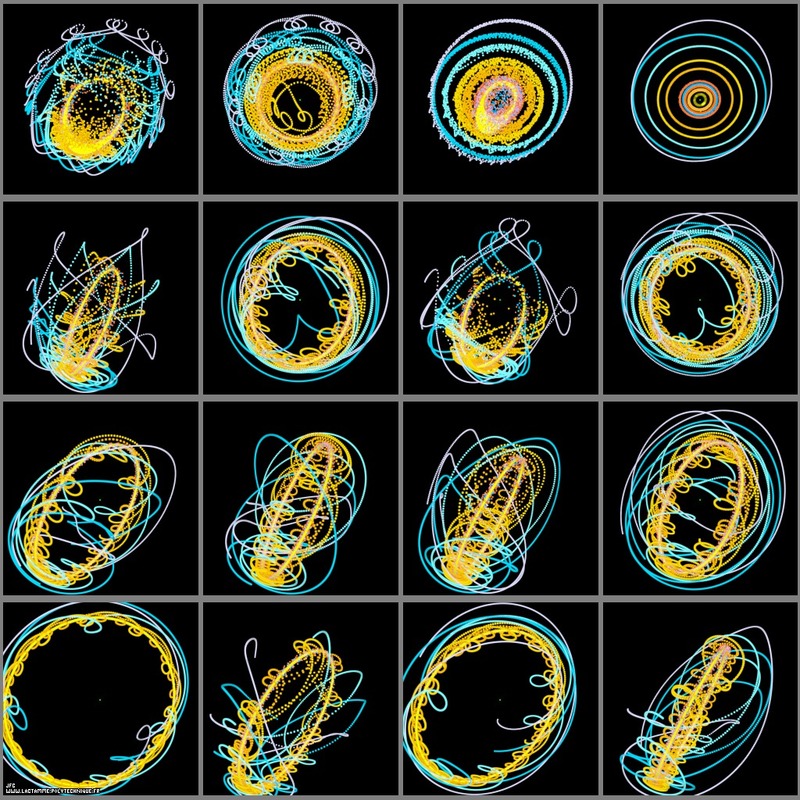 Each frame of this animation corresponds to a particular trajectory of this planet when moved from beyond Pluto -bottom left- to the Sun -top right- and 16.pi rotated (see figure "The journey of an Earth-like virtuel planet (green) in the Solar System -heliocentric view-"). Each of these trajectories has a duration equals to one plutonian year (247 terrestrial years). For each of these trajectories, the 11-body system is visualized with the virtual planet at the origin of coordinates.